The Most Rev’d Dr. Richard Arthur Palmer, PhD, MA, BA, BEd. Date of birth : 29th January 1946 (29.01.46). Made deacon in 1974, priested in 1975, consecrated in London in 1997. Educated at The House of the Sacred Mission Mission, Kelham, Nottinghamshire, King Alfred's College, Winchester, Universities of Southampton and Winchester. Taught and lectured in Hampshire, England. Chaplain in the Royal British Legion, President in St.John Ambulance, Member of the Royal Overseas League in London, Conducted worship in the Unitarian and Free Christian Churches, The United Reformed Church. 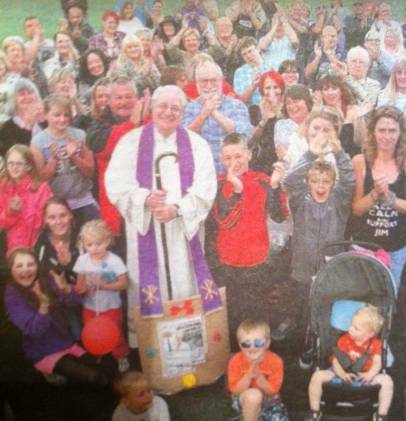 A member of the Standing Advisory Council for Religious Education in Hampshire, UK. Bishop Richard Palmer's spiritual formation began in The Salvation Army. He gave his life to Christ as a boy of seven at a Junior Corps Meeting, and has never been the same since! He ran a Youth Centre for the S.A. and participated fully in their work. 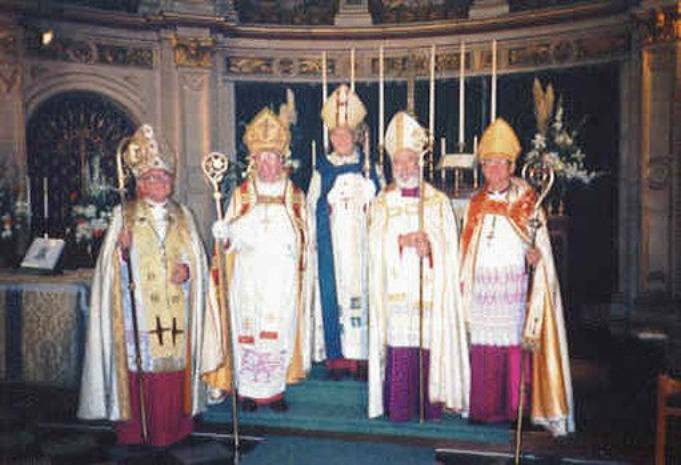 Although baptised as a child in the Church of England any involvement in Anglicanism only began after Confirmation. His call to the priesthood followed as a student at the House of the Sacred Mission (Kelham Theological College). Only after an interest in mystical spirituality did he embrace Old Catholicism in the guise of The Liberal Catholic Church. He joined former Anglican priests in a resolve to embrace a greater sense of authenticity in sacramentalism. 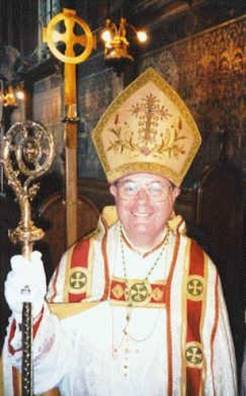 His ministry spanned many decades culminating in his episcopal Consecration in 1997. He furthered co-founded a number of Christian organisations including The Open Episcopal Church and The Society for Independent Christian Ministry, being passionate about the need for complete inclusivity in Christian service. He discovered that The Anglican Free Communion epitomises all that is wholesome in a free, inclusive and sacramental understanding of what it is to be part of the universal church of our Lord and Saviour Jesus Christ.